A funny thing happened to me last week. I was sitting around at home working on some things and listening to a little Tom Waits, as I often do, when he sang something that made me pause. Now, Tom sings a lot of strange things, but this was different. Do you remember when I made my Watermelon Rose Jelly that I said it sounded like both a bath gel and a stripper? Well, watch this (I recommend putting your kids and prudish aunt out of earshot). The part you’re lookin’ for is at 1:13 if you don’t want to watch the whole thing, which I won’t pretend to understand. I was 15 and it was raining after a rehearsal at school. I was planning on walking home, when Lindsay Buccina offered me a ride home. I was a sophmore and she was a senior. And I had a crush on her. We walked to her powder blue late ’80s Chevy sedan and got inside. She offered me a cigarette and put on this song. I wasn’t about to dissappoint, so I ran out the next day and bought two albums and the rest is history. It never went anywhere with Lindsay, but I got hooked on Tom Waits that night and even got a tasty jelly recipe out of it as well. Apparently that name has been kicking around in my head for all this time. So, friends, my advice to you is to never turn down a ride home in the rain from a cute girl. Who knows where it could lead? Well, I’ve been working on jellies in the last couple of weeks and I’ve got two projects done. 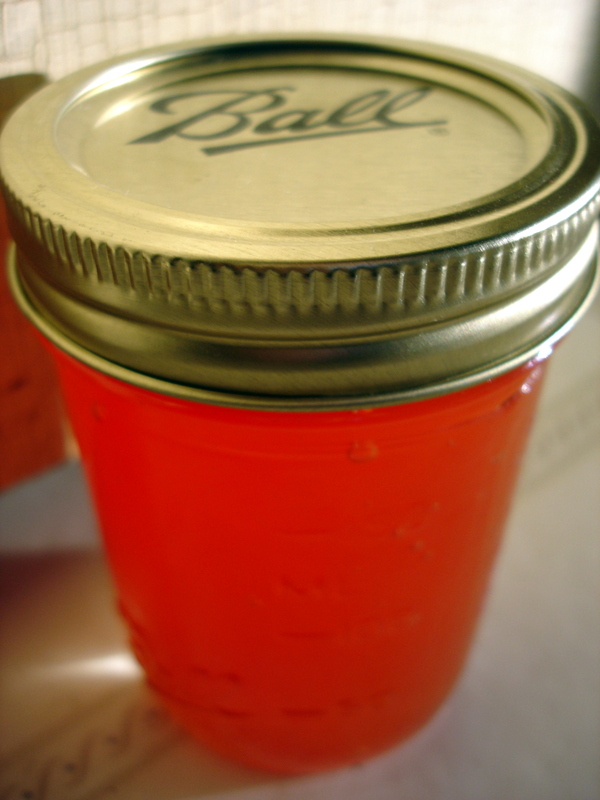 The first jelly was the classic grape jelly. I got a bunch of fresh, organic concord grapes from Blue Skies Farm for super cheap because they were split in the picking. I guess the farm makes wine from the majority of the grapes they grow, so the field hands aren’t very careful in picking the grapes. Perfect for a jelly maker. 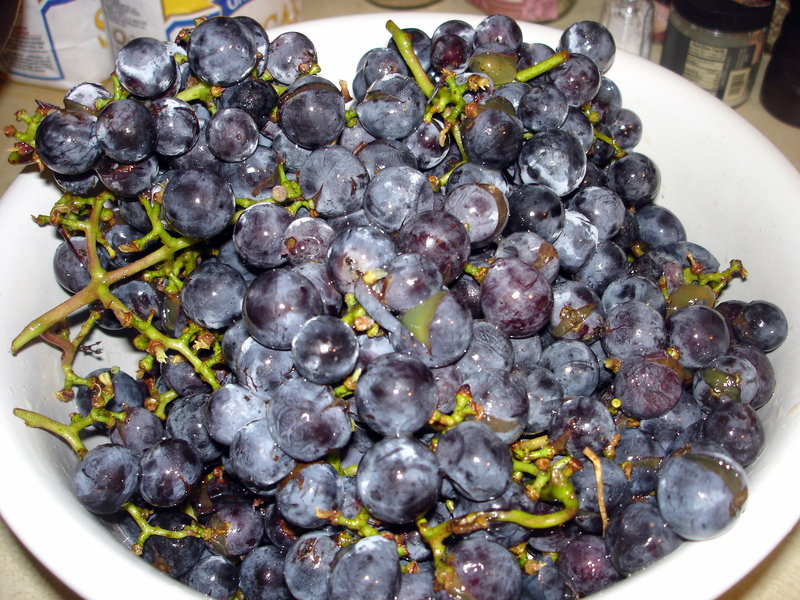 The first time I had concord grapes, maybe 4 or 5 years ago, they were sitting on the counter in the kitchen of the house I was living at at the time. I absent mindedly picked one off the vine and threw it into my mouth. “Wow,” I thought, “this tastes just like grape jelly!” I had always just assumed that the flavor of grape jelly was as related to the taste of real grapes as blue razzberry is to real raspberries. Wrong! It’s just that concord grapes have a flavor all their own. Musky, tart, striking. I liked them a lot and have been eating them every year since as they come into season. My goal was to try and make the grape jelly without pectin, as I’ve been trying to do with all my other jams. I found a recipe online that suggested I could do it, but I noticed that Ferber adds whole apples to all of her grape jams and jellies. I decided to trust the internet, over Ferber. Honestly, what was I thinking? The long story short is this: I’ve managed to make a great tasting grape thing with the consistency of molasses. There’s not really any pectin in grapes, so making jelly out of them is not really an option without added pectin of some kind. Oh well, lesson learned. Here’s the jelly slowly working its way through a muslin lined chinois to achieve really clear jelly. My next project was watermelon jelly. I had gotten a watermelon from my friend Andy at Sprouting Acres farm at market and was excited to get it into jelly form. But, after my grape jelly experience, I was wary. I also didn’t want to go the pectin stock route, because one of the great things about the watermelon juice I was turning into jelly was it’s bright pink color and I didn’t want to mess that up. In the end, I decided to give commercial pectin a try. I can see that it has it’s uses and I’d like to be comfortable using it when appropriate. This jelly turned out great in terms of color and texture. I also really like the flavor, but it’s not a peanut butter and jelly jelly. It’s also not really a cheese friendly preserve. I will tell you that it’s nice on toast and english muffins. It needs to be on or with something fairly light and unobtrusive because it itself has a fairly light and delicate flavor profile. Also, depsite the fact that Watermelon Rose sounds both like a bath gel and a stripper, I added a rose hip infusion to the jelly as well. And before you get all in a huff, rose water and rose petals have a totally different flavor than rose hips, the fruit of the rose plant. Rose hips are tart and unctuous, not overly floral and grandma-y. So, that’s what I’ve been up to in the jam world. What’s coming next you say? Maybe Maple Nectarine, maybe Quince Preserved in Honey. Ever since I started making jams and working on the blog, I’ve been thinking about this memory I have from when I was real young of making jam with my mom at our house in Evanston, IL. 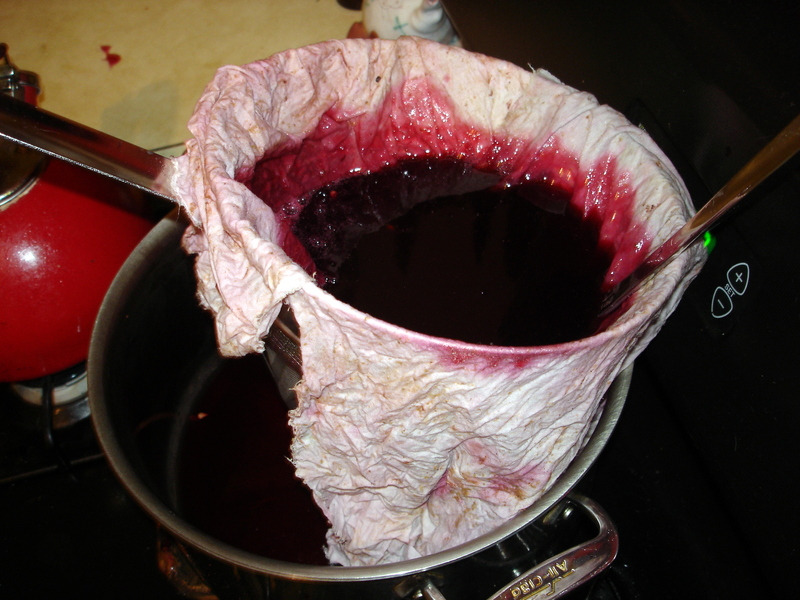 I would’ve been about 2 and a half at the time and I remember standing on a chair or stool and helping to stir this dark purple syrup in a big pot on the stove with the back door open and the sun shining in. It’s a great memory, but I couldn’t be sure it was real without checking. You see, I have a bunch memories from my childhood that just never happened. I don’t know if they were dreams or what, but I’ve come to realize that my little old brain just isn’t content with the facts sometimes. Like that time that my dad fell off the ladder? Didn’t happen. Oh well, I suppose it’s better for him that way, if mildly disconcerting for me. So, I called my mom to check the facts and it turns out that this one is true! At the time that we were living there, my mom was running a little day care out of our house. There were four big bushes in the back yard and she wanted to make sure the berries weren’t going the kill the kids if they ate them. So, she called the previous owner of the house, an older English couple, to get the story on the berries. It turns out that the couple had moved to the house from England a number of years back and found themselves missing the currant jelly that they had loved so much back home. 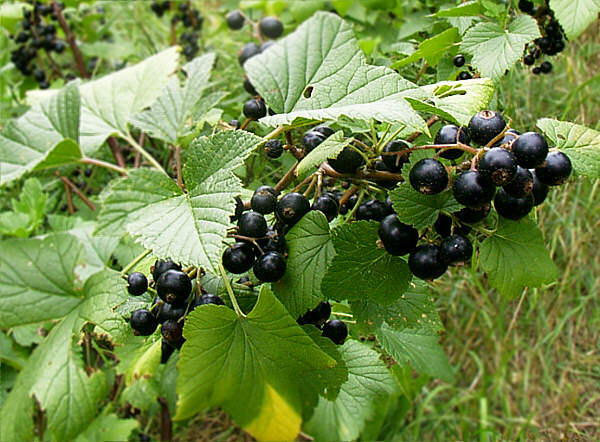 So, they imported four currant bushes from the UK and brought them to Evanston and planted them in what had become our backyard. 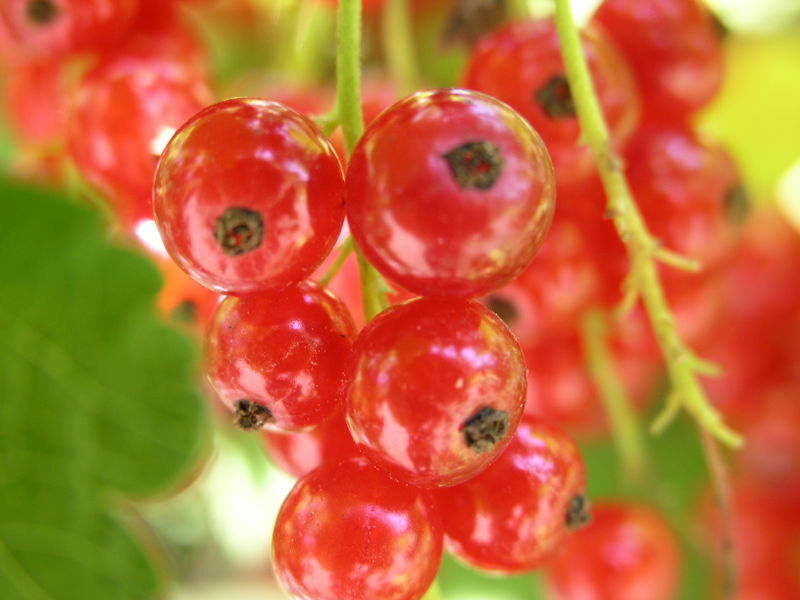 Each summer they would pick the currants and make themselves a year’s supply of jelly. Well, to make a long story short, my mom got the recipe, took it home, picked the currants and we made jelly together. So, my mom was telling me the story over the phone last week and, naturally, I asked, “Do you still have the recipe?” Turns out she does! She emailed it to me and now I need to see if I can’t find some currants and make it. So, here’s the recipe from Mrs. Youngren, as written down by my mom in the summer of ’84. And now, 24 years later, here I am with a deep, abiding love of England, jams and fresh local food. Coincidence? Or do I owe more to Mrs. Youngren than I realized?